Musings about big events we’ve attended. 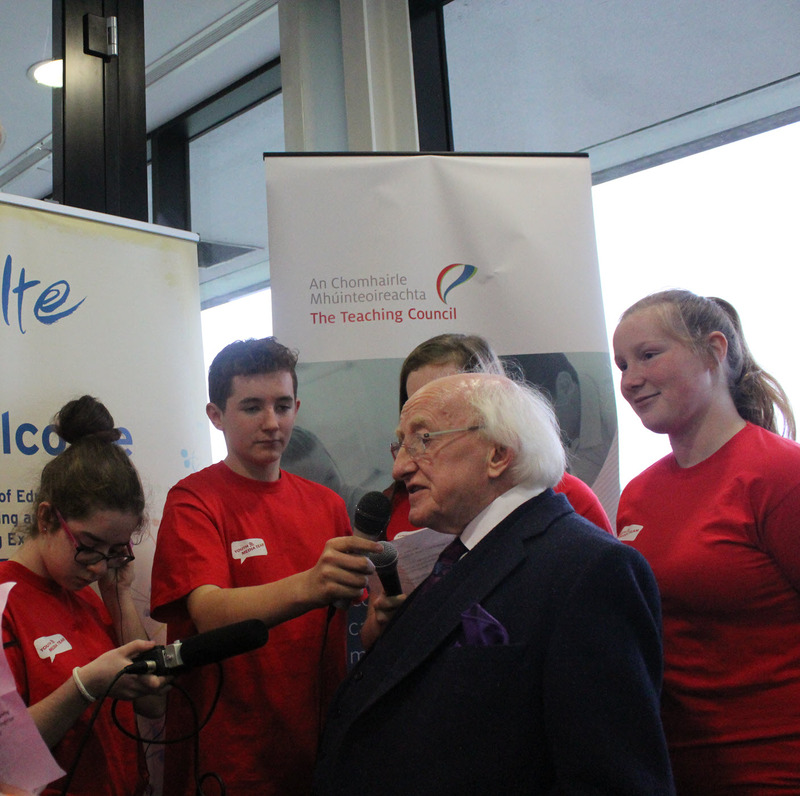 Aoibheann, Emma, Denis and Roisin interviewed John Hartnett the founder and president of the Irish Technology Leadership Group (ITGL) at the ITGL Young Innovators event in Shannon Airport. John told us about why he founded ITGL and the work that he does. He also spoke about how important events like today are, as now young people don’t have to wait until their 20s or 30s to be an entrepreneur. John’s advice to us as young people was to follow our passions and to think outside the box when looking for solutions to problems. 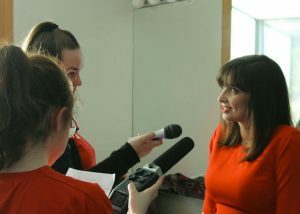 Emma, Aoibheann, Denis and Roisin interviewed the three female dragons, Eleanor McEvoy, Chanelle McCoy and Alison Cowzer from Dragons Den at the ITLG Young Innovators event. The ladies told us about their background and how it feels to be called a dragon. All of them were very passionate about young people in business and how events like today are so important for them to learn more and get inspired from the generation of the future. They also felt that gender balance is key and that they were looking forward to a future where ‘its the norm’ for women to be behind successful businesses. 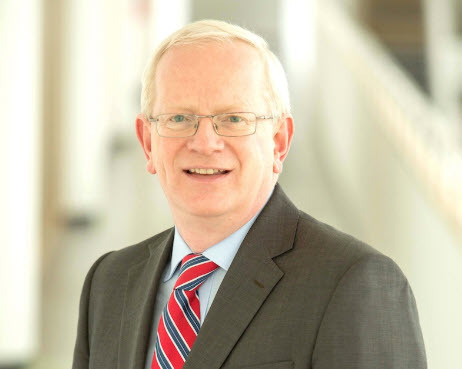 Professor Vincent Cunnane, President of LIT and Dr. Liam Brown, Vice President for Research Enterprise and Development for LIT, explained why the Limerick Institute of Technology enthusiastically supports young innovators. Liam and Vincent spoke about their roles in LIT and why young people continue to drive the success of entrepreneurship in Ireland. Amy, Anna and Cara interviewed four members of the panel discussing “The role of educational exchange and cooperation programmes in shaping the future of Europe” at the Léargas Forum. The panel members were Senator Alice Mary Higgins, an independent Senator and leader of the Civil Engagement Group in Seanad Éireann, John McLoughlin, Deputy Principal at Galway Technical Institute, Mary Moynihan, writer, theatre and film-maker and artistic director of Smashing Times International Centre for the Arts and Human Rights and Samantha Ncube, a ‘No Hate Speech’ youth ambassador and a participant int he European Youth in Migration forum. Each of the panel members spoke a little about themselves and the projects they were involved in before sharing their thoughts with us on the importance of connections in shaping our future. Finally they spoke about how involvement in Erasmus+ projects can help to broaden the horizons of young people like ourselves. Cara, Anna and Amy interviewed Social Innovator and Campaigner Ruairi McKiernan at the Léargas forum. Ruairi delivered a very thoguth provoking keynote address and we used our interview to get him to recap on some of the ideas he spoke about. Ruairi shared some insights into life in a direct provision centre as well as some reasons why we need to stand in solidarity with those who are marginalised in our society. He spoke about the need to find work with purpose and the need to re-energise ourselves in order to be able to continue standing in solidarity with others. Ruairi spoke about the very important work of youth organisations and how they can help so many young people. Finally he shared about the imprtance of Erasmus+ projects like ‘Building Walls, Breaking Walls’. If you missed Feilte 2018 and would like to listen to a quick compilation of the interviews created by the Youth Media Team, just fire up your podcatcher and download the YMT audio file. Or click and play the clip directly on the YMT.fm website. 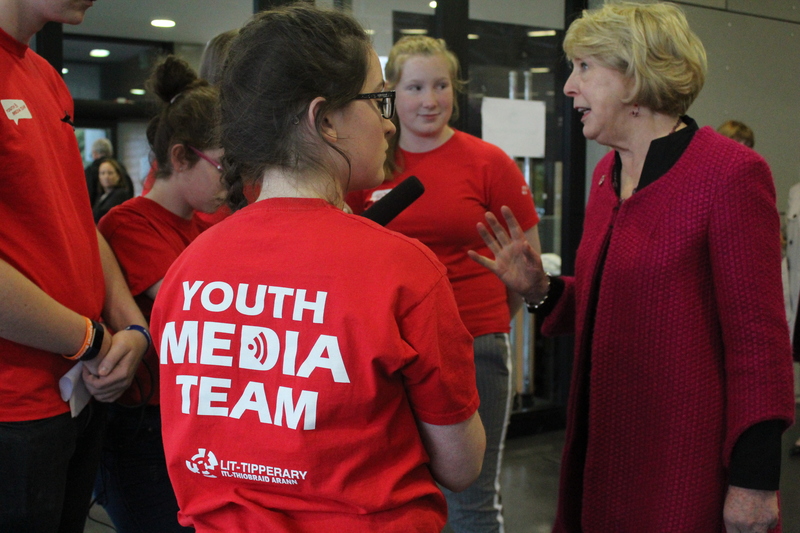 The teens and adults of the Youth Media Team are grateful for the kind courtesy continuously extended by the Teaching Council of Ireland. And deeply appreciate the sincerity afforded by President Michael D. Higgins and Sabina Higgins. We all learn through these shared moments. 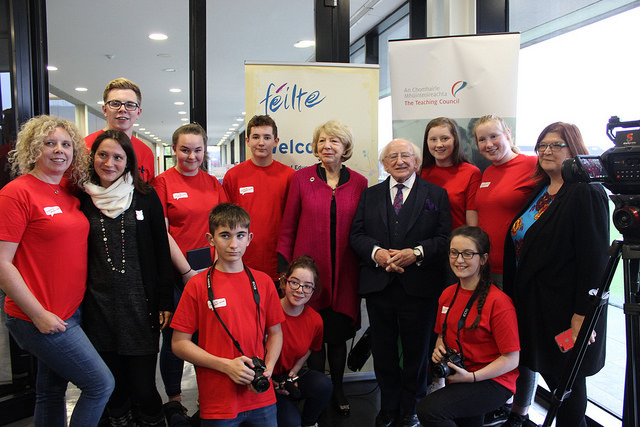 The biggest event of 2018 has to be meeting President Michael D. Higgins and his wife Sabina in the lobby of Mary Immaculate College during Feilte 2018. It was truly a group event that involved two main interviewers, three of the team taking photos, and two others with a back-up recorder for the special occasion. We made a short clip that captured the moment from start to finish and hope you enjoy listening to it. Recorded by Loran and Roisin, and Amy from the Youth Media Team. Aoibhinn Ni Shuilleabhain at Feilte 2018 in Limerick. Aoibhinn Ni Suilleabhain is currently a member of the School of Mathematical Sciences in University College Dublin researching and lecturing in Mathematics Education. She has also done work as a broadcaster after he success in the Rose of Tralee. Jack and Amy spoke to her about how teachers can help students engage more in Maths and the importance of having girls take up more jobs in STEM. She also spoke about the advice that she would give to her Leaving Cert self and the opportunities that her involvement in the Rose of Tralee gave her. 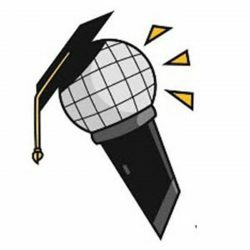 As a public figure she has successfully managed the balance between her public and private life and she shared how she manages this as well as sharing her favourite memory from her time in education so far.